Cyprus is an island country situated in the eastern Mediterranean Sea, located south of Turkey, west of Syria and Lebanon, northwest of Israel, north of Egypt and east of Greece. With a sub-tropical climate, it has mild winters and summers that can be extremely warm. With an average temperature along its coast of 24°C, Cyprus has one of the warmest climates in the Mediterranean and as a result it is a popular tourist destination, famed for its beautiful beaches and archaeological sites relating to the cult of Aphrodite, (who legend has it was born in the sea near off Paphos), including ruins of palaces, tombs and mosaic-adorned villas. Human habitation on the island dates from around 10,000 BC, and it was settled by Greeks from the late Bronze Age. Cyprus’s strategic location has always meant it was a target for invasion and a centre for trade, a hub for Phoenician, Greek and Roman trade routes to the Middle East, Egypt and Africa. Before independence, Cyprus was ruled by the Ottomans and the British. Its geographical location acts as a bridge between east and west, north and south. It has a long tradition of entrepreneurship and an educated, English-speaking population, moderate local costs, good airline connections and telecommunications. Cyprus is part of the monetary union, the eurozone and the EU single market. Despite joining the EU as a divided island, the whole of Cyprus is EU territory. Turkish Cypriots have, or are eligible for, EU travel documents and are EU citizens. EU law is suspended in areas where the Cypriot government (Government of the Republic) does not exercise effective control. It has been an EU member since 1 May 2004 and adopted the Euro on the 1 January 2008, with the consequent travel freedoms that go along with that. Cyprus is currently in the process of joining the Schengen area. Traditionally Greece has been a major export and import partner of Cyprus. In 2007, it accounted for 21.1% of total exports of Cyprus. Over the same period it was responsible for 17.7% of goods and services imported by Cyprus. Some other important partners are UK and Italy. The most important sectors of Cyprus’s economy are wholesale and retail trade, transport, accommodation and food services (26.0%), public administration, defence, education, human health and social work activities (20.3%) and financial and insurance activities (10.8%). Surveys suggest more than 2.831 trillion cubic metres of natural gas reserves lie untapped in the Leviathan gas field in the Mediterranean between Cyprus and Israel – almost equal to the world’s total annual consumption of natural gas. The trend is the economy over recent years has been to shift from agriculture to light manufacturing and services. The services sector, including tourism, contributes almost 80% to GDP and employs over 70% of the labour force. 2 million tourists visit Cyprus every year, making it the 40th most popular destination in the world. The island has a mature tourism infrastructure, overseen and promoted by the Cyprus Tourism Organisation, a semi-governmental body. Traditionally Greece has been a major export and import partner of Cyprus, amounting to around 21% of the total exports of Cyprus. In terms of imports, 74% come from EU member states (Greece 21%, Germany 17% and Italy 7%), while outside the EU 8% come from China and 4% from South Korea. Cyprus has a large shipping management sector, with roughly 50 companies basing themselves there. It has the tenth-largest registered fleet in the world. Historically, and as an island nation, the country has a long history in merchant shipping, and that is only helped by its central hub location and proximity to the Suez Canal. Starting in the 1990s, Cyprus also became an important hub for investment from the West into Russia and Eastern Europe. More recently, these flows have been directed to Asia, South America and the Middle East. Businesses from outside the EU also use Cyprus as their entry-point for investment into Europe. Business services are the fastest growing sector of the economy, and had overtaken all other sectors in importance. This is aided by work of the Cyprus Investment Promotion Agency (CIPA), the national investment promotion agency, which aims to promote the nation’s investment appeal abroad. It is currently focusing on the energy sector, but it also plays a key role continuing to promote the traditionally important sectors of real estate, shipping and tourism. The Cyprus Securities and Exchange Commission (or CySEC) is the financial regulator in Cyprus. CySEC was launched in 2001, and when the country joined the EU in 2004 CySEC came under, and moved to comply with, general European regulation, giving firms registered in Cyprus access to European markets. Cyprus’s legal system is founded on the principles of English common law and it is therefore familiar to international financiers. Cyprus’s legislation was altered to align with EU law as part of the process of entering the Union. Restrictions on foreign direct investment were removed, permitting 100% foreign ownership in many cases. Foreign portfolio investment in the Cyprus Stock Exchange was also liberalised. A business-friendly tax system was put in place with a 12.5% corporate tax rate, one of the lowest in the EU. Cyprus has concluded treaties on double taxation with more than 40 countries, and, as a member of the Eurozone, has no exchange restrictions. Non-residents and foreign investors may freely repatriate proceeds from investments in Cyprus. In 2012, following the Greek government-debt crisis, the €22 billion exposure of small Cypriot banks to over-leveraged local property companies became critical. In March 2013, a €10 billion international bailout (or Economic Adjustment Programme for Cyprus) was hurriedly organised by the Troika (the European Commission, the International Monetary Fund, and the European Central Bank) and the Cypriot Government. Bailout terms include strong austerity measures and a levy on bank deposits over €100,000, implementation of anti-money laundering measures in Cypriot financial institutions, fiscal moves to help bring down the Cypriot governmental budget deficit, structural reforms to restore competitiveness and fix imbalances, a privatisation programme, and an agreement to split the country’s second largest bank, the Cyprus Popular Bank (also known as Laiki Bank), into a “bad” bank, which would be wound down over time and a “good” bank which would be absorbed by the Bank of Cyprus. Following the financial crisis, Cyprus exceeded expectations with its economic recovery. Its economy exited recession in 2015 and continued to grow into 2016. Progress was achieved in all of the key objectives the international lenders had targeted, resulting in the Eurogroup hailing Cyprus as a success story. The Cypriot debt-to-GDP ratio is now expected to fall to 105% in 2020, and is thus considered sustainable for the future. Cyprus does particularly well in international comparisons of trade freedom and monetary freedom. The regulatory framework is relatively transparent and efficient, and the financial sector has stabilised. Strong economic growth in 2017 — the healthiest figures since 2008 — signalled a sustained recovery. GDP expanded 3.9% against a backdrop of growing monetary stability, which fuelled domestic demand. Fixed investment jumped over a quarter in 2017, and private consumption picked up from 2016, underlined by declining unemployment and subdued inflation. Forecasts are for sustained growth in the short term, driven by improved public finances and booming construction and tourism industries. In the banking sector, healthy growth supported asset values, enhancing borrowers’ repayment capacity and facilitating loan restructuring, which helped banks begin to reduce their stock of non-performing loans. Many wish to gain a Cypriot passport. Possession of one is an invaluable asset; with access to as many as 163 countries without a visa and the right to live and work in all EU member states, a Cypriot citizenship has the ability to open many doors. In September 2016, the government lowered the amount that single investors are required to invest in the country. This amount can be invested in real estate, government bonds or through the creation of a business based in the Republic. Furthermore, groups will also no longer have to number five or more investors, and citizenships can be secured for the applicants’ parents alongside their own applications. Since the launch of the Cypriot CBI program, investors have consistently been attracted to Cyprus due to the country’s highly sought after geographical location and Mediterranean climate. The programme is currently the highest listed of any European country in the Arton index of global citizen programmes. News outlets have praised the newly simplified process, as the changes will improve the programme’s accessibility and will further cater for the family of investors. The tweaks to the programme will undoubtedly ensure that the Cypriot citizenship programme will continue to claim the European CBI crown and further increase investors’ interest in the country. The applicant must have made an investment of at least €2m for the purchase or construction of buildings or for the construction of other land development projects (residential or commercial developments, developments in the tourism sector) or other infrastructure projects. Investment in land under development is included in this, provided an investment plan for the development of the purchased land will be included in the application. The applicant should have made a purchase or should have participated in companies or organisations established and operating in the Republic of Cyprus with investment costs of at least €2m. The invested funds shall be channelled towards the financing of the investment objectives of these companies exclusively in Cyprus, based on a specific investment plan. The applications shall be evaluated to verify that the companies or organisations have proven physical presence in Cyprus, with significant activity and turnover and employ at least five Cypriot or citizens of EU member-states. The minimum number of employees shall increase if more than one applicant invest simultaneously or almost simultaneously in the same business or company. In addition, the employees of the companies need to have legally and continuously resided in Cyprus during the five years preceding the application submission date. The applicant should have bought units of at least €2m from alternative investment funds (AIF) established in the Republic of Cyprus, licensed and supervised by the CySec and whose investments are made exclusively in the Republic of Cyprus, in investments that meet the criteria of this scheme or in areas approved by the Minister of Finance. The purchase of financial assets of Cypriot companies or organisations of at least €2m, such as bonds, bills and securities, issued with the approval of the CySec, by companies that have proven physical presence and substantial economic activity in the Republic of Cyprus, and have as a purpose the financing of the investment plans of these companies or organisations exclusively in Cyprus, based on an investment plan, fall under this criterion. Applicants may invest in a combination of the above options. The combination of investments must total at least €2m. 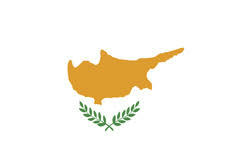 The applicant may purchase special government bonds of the Republic of Cyprus, up to €500,000, which will be issued by the Public Debt Management Office of the Ministry of Finance, on condition that the investor will retain these bonds for a three year period. The characteristics and the terms of these special bonds will be determined by the General and Special Issue Terms of the Government Bonds of the Republic of Cyprus. Investments in government bonds through the secondary market are not considered eligible. In May, Cyprus’s Council of Ministers announced significant changes to the country’s citizenship by investment programme. The changes include capping the number of naturalisations at 700 a year, changing the programme’s official name, and tightening due diligence and vetting procedures for investors looking to get hold of a European Union passport. Cypriot finance minister Harris Georgiades said that the new procedures will be “stricter and more credible” and that the number of passports granted under the revised scheme will be capped and additionally foreign agencies will also carry out “exhaustive checks” to ensure the suitability of applicants. Cyprus introduced the scheme in the wake of a 2013 financial crisis that forced the government to accept a rescue programme from international creditors. Applications have risen sharply since 2014 when 214 main applicants (and 186 dependents) received approvals. Last year, the authorities naturalised 503 main applicants, plus 510 dependents. The government’s Press and Information Office (PIO) announced that the programme will be known officially as the “Cypriot Investment Scheme” and all future applications will be subject to enhanced due diligence, the cost of which will be paid by applicants. The real estate investment holding period of three years will now start from the time a town planning permit is issued. Applicants will have to wait up to six months for their applications to be examined. These amendments followed announcements earlier this year. In March, the government issued new rules regarding who may market the programme and also issued a new code of conduct “with clear provisions to avoid exaggerations and abusive practices”. European Commission spokesman Christian Wigand stated that member states “should use their prerogatives to award citizenship in line with international and EU law and in the spirit of sincere co-operation” with other EU countries. According to some estimates, €4.8 billion has been raised by the programme between 2013 and 2016.
you are actually a good webmaster. The web site loading pace is incredible. It sort of feels that you are doing any unique trick. Moreover, The contents are masterwork. you have performed a magnificent activity on this matter!